Imo State government has received N2.97 billion from the Federation Account for the month of September, the least since the country started experiencing economic recession. The 36 states of the federation distributed their share of federation account, the states got N75.73 billion and local government received N58.38billion,while FG got N149.31 billion totaling the sum of N510.27 billion shared among the three tiers of government in the month of September as their share of revenue generated for the month of August. 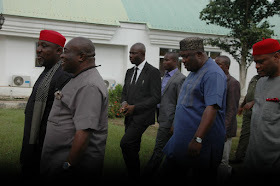 The breakdown shows in a report obtained by IfeanyiCy's blog from the source at the office of the Accountant General of the Federation in Abuja yesterday,Thursday 27th October,2016 revealed that the Governor of Imo State received on behalf of Imo state government the total sum of N2.97 billion naira,which is different from what is received as allocation for the 27 LGA's in the state. 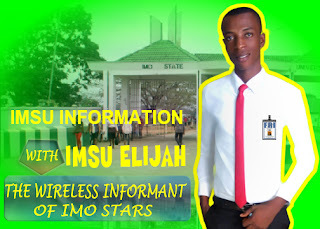 The Governor was represented in the FAAC committee by the commissioner for Finance and Accountant General of Imo state. According to Nigerian Finance Minister Mrs. Kemi Adeosun who chaired the meeting gave the breakdown of how the statutory revenue was shared among the three tiers of government for August. She said the Federal Government got N149.31 billion, while states received N75.73billion and local government received N58.38billion. Also, the sum of N20.29 billion, being the 13% derivation revenue was shared among the oil producing states. The Finance Minister put the revenue for Value Added Tax (VAT) at N72.92 billion for August. She noted that the Federal Government collected N10.93 billion; states N36.46 billion; and the local governments, N25.52billion. She added that there was an exchange gain of N84.26billion. Adeosun said the sum of N6.330 billion refunded to the Federation Account by the Nigerian National Petroleum Corporation (NNPC) was also distributed . She added that the gross statutory revenue of N315.04 billion received for the month was higher than the N287.81 billion received in the previous month by N27.22 billion.